Dante’s Inferno envisioned nine levels of Hell, with the hopeless condemned being subjected to various kinds of torment depending on the nature of sins they had committed. Any traveler knows that there are similar levels of Travel Hell. Yesterday, Kish and I got down to about Level 5. We first crossed the river Styx when an early morning snowstorm and de-icing needs delayed our flight out of Columbus. We abandoned all hope when our flight was late arriving in St. Louis and the airline inexplicably did not hold the plane for only the few minutes needed for us to make our connection — leaving us winded and desolate as we stood at the gate, watching our plane move slowly away — and instead booked us for a flight to occur 11 hours later. We then wandered like lost souls through the St. Louis airport, moving from terminal to terminal in the bitter cold, enduring the initial levels of Travel Hell and hoping in vain to find an earlier flight option. 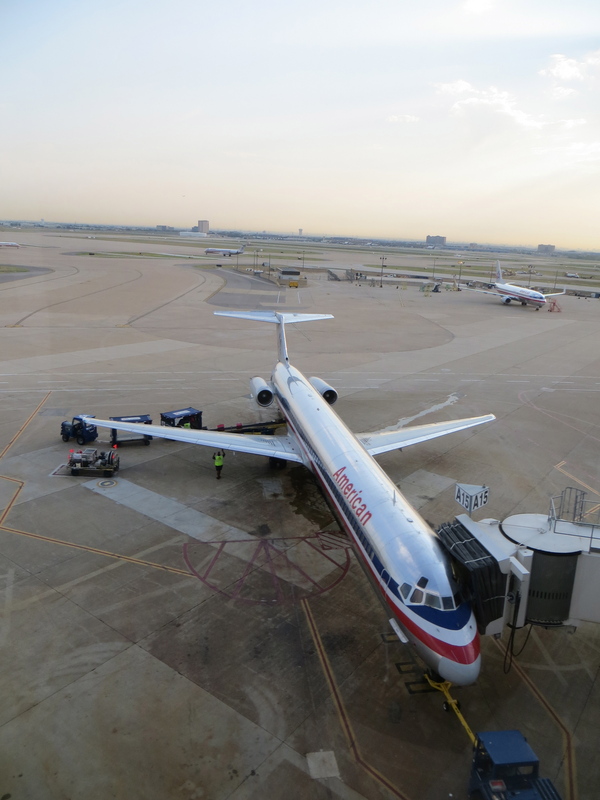 We moved even lower when we decided to take an earlier flight, through Houston, with the thought that we could then drive to our ultimate destination of San Antonio, and learned that the flight was populated entirely by screaming, thrashing children and inattentive parents. We reached our final depth when we arrived in Houston, found the rental car counters in the terminal were closed, checked to make sure that their signs indicated they had cars available, then went to a rental car area only to learn that notwithstanding the freaking sign, they had no cars, and we therefore had to return to the terminal and board another bus to get to another rental car outlet. The final indignity came when, after waiting patiently in the line at the rental car counter and finally securing a vehicle, we were directed to a car, got in, drove to the exit, and were told that we were in the wrong kind of car and needed to return it and get another one. After that piece de resistance, the three-hour drive through the rain from Houston to San Antonio, with oversized pick-ups with their brights on powering up right behind us, seemed like a walk in the park. Fortunately, we didn’t reach the lowest levels of Travel Hell — which involve things like being physically ill, getting food poisoning at an airport terminal food court, and then having to spend the night in an airport in the company of fellow travelers who won’t shut up — but Level 5 was bad enough. After 14 hours, we emerged from the pits into the friendly environs of San Antonio, and the air never smelled so sweet. Yesterday, as a meeting in Washington, D.C. was winding down, the sinister travel dominoes started falling. First, lawyers from New York City got the message that their impending flight was canceled, and they had to start scrambling to make alternative arrangements. The first flicker of doubt about my flight zigzagged through my mind, but I quickly suppressed it and rationalized that it was because of bad weather in the NYC area. Then, a few minutes later, those of us from Columbus got the dreaded “airline call.” The dismal robotic recorded voice advised that our flight back also had been canceled outright — no initial delay, and therefore no ray of hope that the flight might actually leave at some point. The message gave some gibberish explanation about “air traffic congestion” in the system, which undoubtedly is a daily condition in the busy air traffic corridor above the east coast of the United States — and said we would be rebooked. Then another member of our party got the message that the rebooking was for a flight this morning, which meant that we faced the unhappy choice between an unplanned, no-clean-clothes overnight in D.C. — assuming you could even find a decent hotel room at the last minute in a city that seemed packed with visitors — or renting a car and driving home. This really wasn’t much of a choice. We quickly selected the latter option — when you’re expecting to get home, you really want to get home, no matter how difficult the journey might be, and some of us also had can’t-miss appointments early today — and then we faced another decision: should we try to rent a car at the airport, or from one of the tiny downtown rental car outlets? We chose the latter option, reasoning that if our flight was cancelled due to “congestion” the airport car rental counters probably were scenes of chaos. The risk of the hotel rental outlets, of course, is that they don’t actually have a car available, no matter what the on-line website is telling you. It was a close call, but cars somehow were found, and we headed out, conveniently leaving in the heart of the D.C. rush hour traffic/I-495/I-270 commuter snarl. Hours later, as the clock ticked down to the midnight hour, we rolled into Columbus — about four hours after our designated plane flight arrival time. We made it, and we gratefully acknowledge the utility of the Eisenhower Interstate Highway System. Avis’ familiar slogan is “We Try Harder.” Hah! Today I had my worst car rental experience in more than 30 years of business Teavel. I flew to Denver with an Avis car reservation in hand. 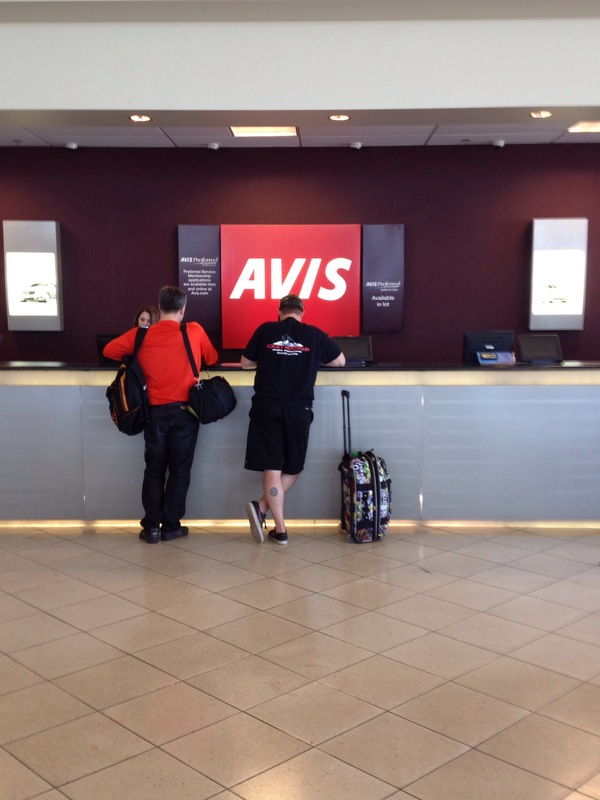 When I got to the Avis terminal I had to wait in line for more than an hour to get my car — and then when I went to the car I learned that it had also been promised to another traveler. There is simply no excuse for this. I’d be willing to bet that most of the Avis customers had reservations, so Avis had to know how many people were coming — and should have staffed up. Obviously they didn’t, and they thereby showed that customer service is not their priority. I won’t forget that. There are lots of car rental options; I could easily have picked one of Avis’ competitors. Next time, I will. Congratulations, Avis! You’ve just lost one customer forever. 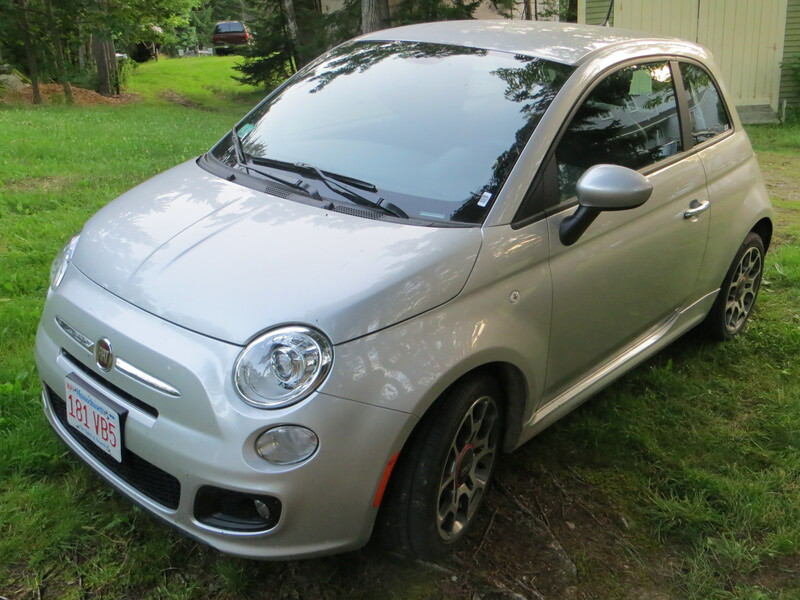 Kish rented a tiny, two-door Fiat upon her arrival in Maine. I can’t say that I’ll be sorry to see that particular car in the rear-view mirror. The car is way too small. Yesterday Kish, Richard, Russell, and I and our bags were crammed into the little vehicle, and needless to say it was an uncomfortable fit. The rear seats had to be adjusted forward to allow the bags to go into the trunk — if you can call a compartment about the size of a window flower box a trunk — and the unlucky occupants of the back seats also had to carry bags in their laps and have bags perched beneath their feet. When the car came to a stop and the four full-size adult occupants disembarked, no doubt observers thought it looked like the arrival of the clown car under the Big Top at the Ringling Brothers circus. t wouldn’t have surprised me to be splattered with a cream pie as I gingerly extricated myself. The cramped size of the car wasn’t the only issue. It also had an acceleration problem that quickly became irritating. At times the acceleration would drag, and then the car would move into the correct gear with a thump and a kick in the rear that knocked your skull back against the head rest of the seat. Coming on top of the ridiculously tight quarters, it was adding literal injury to insult.